Members of ATiT (Belgium) and the Universitat Politècnica de València’s MLLP group were in Graz (Austria) on 22–24 February representing the EU project EMMA at the European MOOCs Stakeholders Summit EMOOCs 2016. 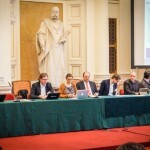 They participated in the panel “European support services for developing MOOCs”. Find here their impressions and their full presentation. 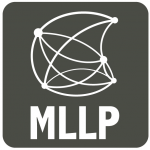 Members of ATiT (Belgium) and the Universitat Politècnica de València’s MLLP group will be in Graz (Austria) on 22–24 February representing the EU project EMMA at the European MOOCs Stakeholders Summit EMOOCs 2016. They will participate in the panel “European support services for developing MOOCs”. 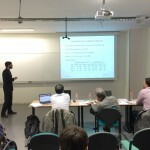 MLLP member Joan Albert Silvestre-Cerdà defended successfully today his PhD thesis “Different Contributions to Cost-Effective Transcription and Translation of Video Lectures” at the Universitat Politècnica de València’s Dept. of Computer Systems and Computation (DSIC). 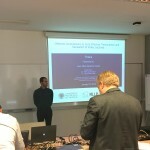 Former MLLP member Isaías Sánchez Cortina defended successfully today his PhD thesis on “Confidence Measures for Automatic and Interactive Speech Recognition” at the Universitat Politècnica de València’s Dept. of Computer Systems and Computation (DSIC).